When you need a durable blanket for outdoor use, The Blanket Tote is just the item for you! 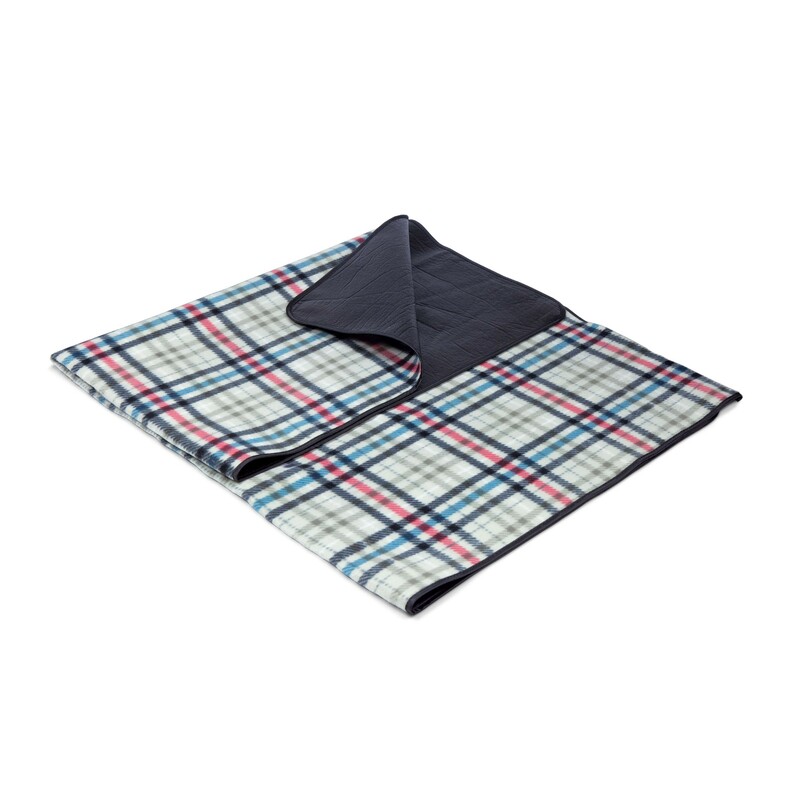 The topside of the blanket is made of soft polyester fleece and the underside is water-resistant to protect the blanket from getting dampened or soiled. 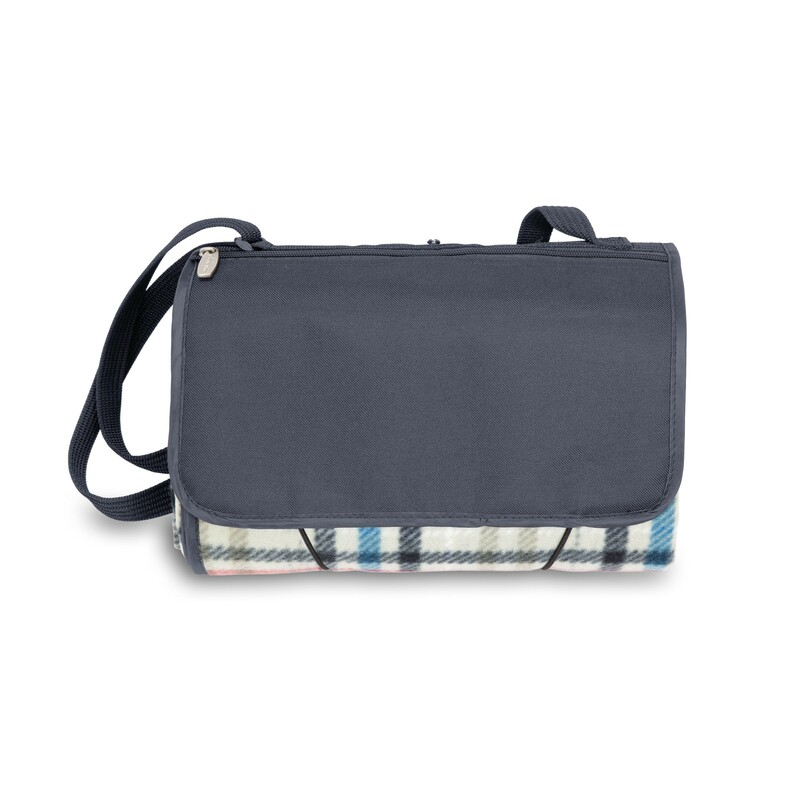 The Blanket Tote unfolds easily and refolds into a convenient carry tote featuring a closing flap complete with a zippered pocket, and an adjustable shoulder strap. The flap is made of 600D polyester. 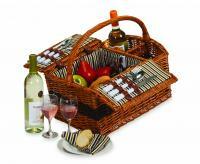 The blanket can even be used as a wrap to keep you dry if an unforeseen storm rains on your picnic. Rain or shine, don't be caught without the Blanket Tote by Picnic Time. 12.25" x 12.25" x 3.5"
I am thrilled with the product that I purchased! 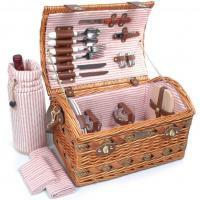 I got this product for my granddaughter so she can play picnic, which she loves to do. We are also going to be taking it to the park for picnics.